It’s that time of year again, folks: Art House Theater Day, the now third annual celebration of the craft of fringe, independent movie-going and the weird, beautiful spaces where it happens, will soon be upon us. Organized every year by the Art House Convergence, the nation-wide event—scheduled for September 23—celebrates the world of independent theater, with past years showcasing films like Lucky and Phantasm, along with plenty of other oddball hits. 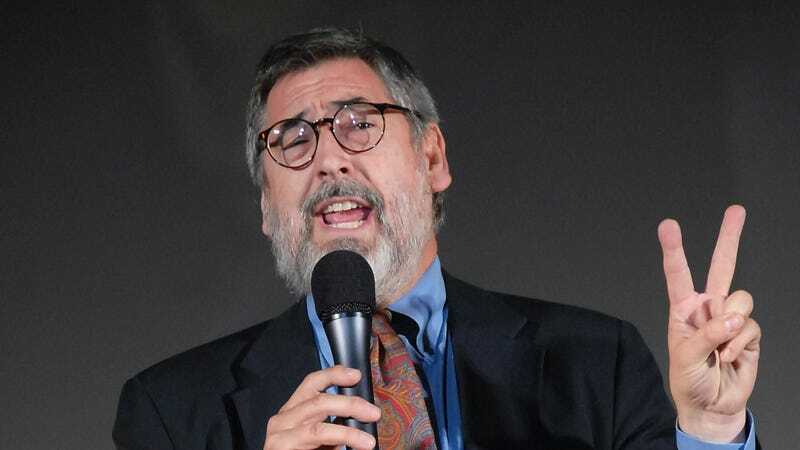 This year’s festivities will pay tribute to the early works of dedicated weirdo John Landis, featuring a remastered version of his debut feature, the 1973 monster movie comedy Schlock. Now, contrary to the Convergence’s press copy, Schlock isn’t actually “unseen”—we reviewed the film’s DVD release, under the alternate title Banana Monster, way back in 2002. But it is obscure and weird, featuring a bunch of semi-hokey jokes about classic monster flicks, and an acting performance from Landis himself, running around in a cheap-looking gorilla costume (from an equally nascent Rick Baker) for its entire run-time. Plus, the Animal House and Blues Brothers director is providing a video message to accompany its screening, paying a bit of tribute of his own to the movie that helped establish his career. AHTD3 won’t be all Landis, all the time, though; the festivities will also feature a performance by Jim Cummings’ SXSW winner Thunder Road, plus a series of well-regarded international offerings from Denmark (The Guilty) and France (Foreign Body, The Big Bad Fox & Other Tales.) You can see the full schedule for the event, and your nearest participating theater, right here.